If your focus is optimal deep health, diet is a factor that will play a critical role. Not only restaurants but also pre packaged processed foods are convenient and at times necessary but if true health is your goal, them home cooking using fresh ingredients and organic vegetables as part of them is necessary. Superfoods is a term that has become popular in recent years, with good reason, but it has also been misused many times. Processed fods contained these superfoods often destroy much of the nutrient value of those superfoods in the processing. At thebestfoodstv we like to focus on eating the best foods and on natural ways to control appetite. With that in mind, here are 10 top foods that offer a wide array of nutrients and can be easily incorporated into anyone’s diet. These should be either organic or wild crafted, meaning wild naturally occurring food. This is one of the most important foods for the typical person to add to their diet. Almost half of the beneficial fat content in Coconut Oil is Lauric Acid. Lauric Acid is found in very few foods and is truly an incredible ingredient due to its body systems supporting properties. When ingested, the body converts Lauric Acid into monolaurin which is an amazing anti-bacterial, anti viral and anti fungal compound. The saturated fat (which has endured a bad and inaccurate rap the past few decades) in coconut oil has some excellent benefits includes supporting heart health, the immune system and a healthy metabolism and weight loss. It is also a good source of energy. The medium chain fatty acids in coconut go immediately to your liver to be used for fuel, much better for your body than simple carbs. By helping the thyroid, coconut oil also aids in the ability of the body to begin weight loss. Dr. Mary Newport in her research has shown that Coconut Oil also have great potential to fight off brain issues such as Alzheimer’s as well as other issues such as type 2 diabetes and Multiple Sclerosis. For cooking, this oil is also the ideal choice as it the most stable oil with the highest boil point. Much better than even olive oil. Best plan for your health? 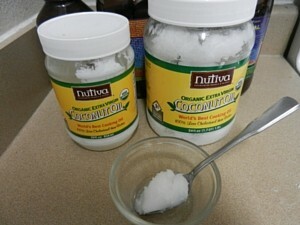 Eat 1-2 tablespoon of coconut oil several times per week. If you love chips, then consider Jackson’s Honest Chips made with coconut oil. A Second top food is Kale. Along with this remarkable green, broccoli, chard and arugula are top contenders for green leafy vegetables. Kale is so powerful that we have an article entirely dedicated to this veggie. It is loaded with Vitamins A, B and C. It helps many body systems including the digestive and immune system. Indole-3-carbinol can be obtained by eating Kale and may play a part in protecting against colon cancer. Lutein and Zeaxanthin are present which help against macular degeneration. Get Kale anyway that you can. 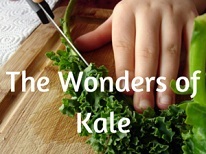 Have baby kale in salads or put handfuls of Lacinato kale into a smoothie or juice recipe. A third item to make our best foods list is the wonderful Avocado. Similar to Coconut oil, one of the avocados main benefits is that of being a tremendous source of healthy fats. This is rare in a fruit to have this level of fats. As well, the avocado provides fiber, Vitamin E, twice as much Potassium as a banana and loads of B Vitamins. Avocados also help your body absorb and utilize other nutrients such as beta carotene and lutein. The creamy texture of the avocado also make it great to blend with other ingredients including some cocoa and chia seeds, then freezing for a short time to make a dessert with the texture of ice cream. Green Vegetable Juice needs to be on this list as well. This really needs to be made fresh at home and not a purchased pasteurized juice, even from a health store. Juicing vegetables has many benefits over simply eating the veggies. For many people, trying to eat more than a small salad takes more time and mental effort they would like but have no problem spending time juicing. If this describes you, then juicing can provide up to 5x-10x the amounts of veggies in one day than you normally eat. This alone makes juicing a great practice. But as well, juicing concentrates the nutrients and releases them from the fibers, thereby rushing the nutrients into your body in a much shortened amount of time. You will absorb 90% of the nutrients in the juice in 15 minutes as opposed to 15% of the nutrients spread out over 30 minutes as it would be if you simply eating the greens. Our favorite Juices include one made with Curly or Lacinato Kale, baby spinach, Celery carrots and then another green such as Romaine lettuce. We normally do not sweeten our green juice with any fruits although you could add a granny smith apple or Asian pear to help with this. Carrots also help sweeten the juice but we like to keep the amounts of sweet carb type veggies such as carrots as a more minor ingredient. Our fifth food on this list is sometimes a controversial one and that is organic grass fed butter. Butter from grass fed cows can actually be very healthy. It is full of many vitamins and trace minerals and healthy fats including short and medium chain fats which support the immune system. It also has a great balance of omega-3 and omega6 fats which is normally far out of balance in conventional dairy and beef products. A fascinating read is the story of Jackson, who inspired his mother to begin the copnay Jackson’s Honest Chips, which are made with coconut oil The story how Jackson’s health made a dramatic upturn based on massive amounts of healthy fats which included organic grass fed butter is worth the time reading or watching the video of the company’s history. 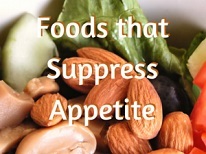 Remember there are also foods that are really anti-nutrient. These can harm the body as you eat them. Some of these are included in our article on the 7 worst foods to avoid. Part II of our top 10 best foods will focus more on the protein side of nutrients.